This is a sponsored post on behalf of Walmart. Online grocery ordering was made for busy moms. There’s nothing more frustrating then dragging a few whiny kids through the grocery store, let alone in the winter time after bundling everyone up and braving the icy roads. I either end up spending more than I intended after giving in to a few extra snacks or I forget a few things that were on my list…. every time. For Christmas a few weeks ago, I ordered from Walmart’s online grocery service and documented the free pickup on Facebook live. It was so convenient to order online because the kids were out of school and it was snowing! I had a lot of groceries to get for Christmas and boy did I not want to spend time at the store when I had a million other things to do to prepare. Add the grocery items you want to your cart. Follow directions at checkout and reserve a time to pick up. Head to your designated Walmart at your reservation time! No need to get out of your car! A Walmart associate will load all of your groceries. How easy is that? 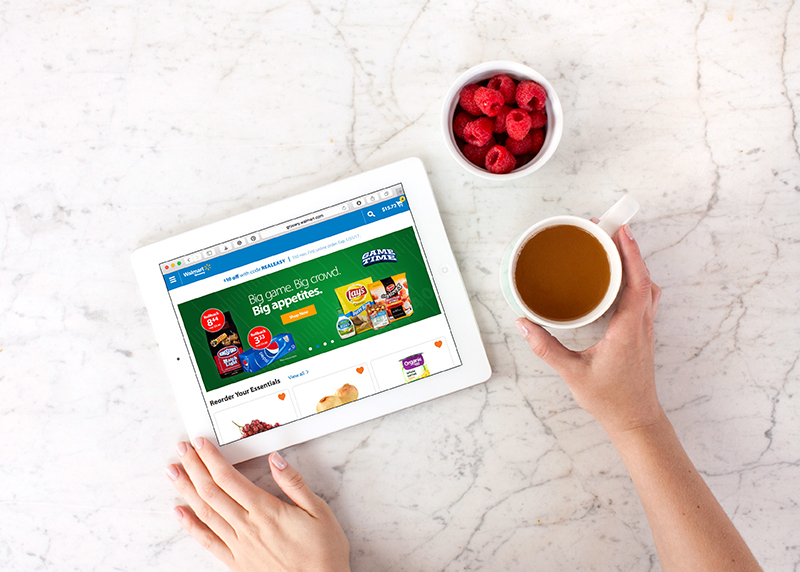 Once you try Walmart Online Grocery it won’t just be for those snowy days when hauling the kids in the store is the last thing you want to do. The convenience of ordering groceries online and having someone shop for you (for free) and load your groceries (for free) is also money and time-saving. I can have healthy meals on the table on days that I don’t have time to go grocery shopping and I can save money by not falling victim to impulse purchases. With four boys in my family, the NFL football playoffs are a big deal, but I usually don’t know there is a game on until last-minute. I kind of enjoy the playoffs because my boys are totally ok with eating appetizers and “football food,” so I don’t need to make dinner. 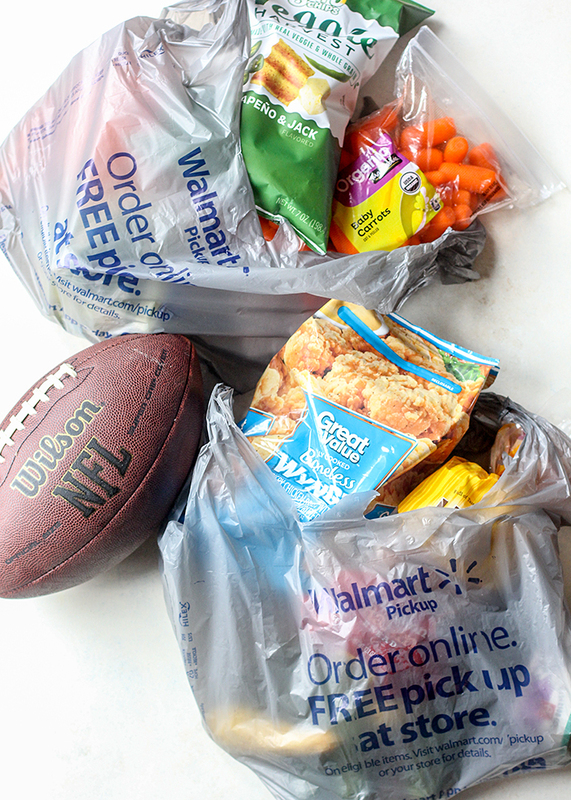 I utilized online grocery again and picked up a few last minute things for the games this weekend: chips, carrots, dip, chicken nuggets and buffalo wings. Do you want to be a #GroceryHero too? Order your groceries online now!